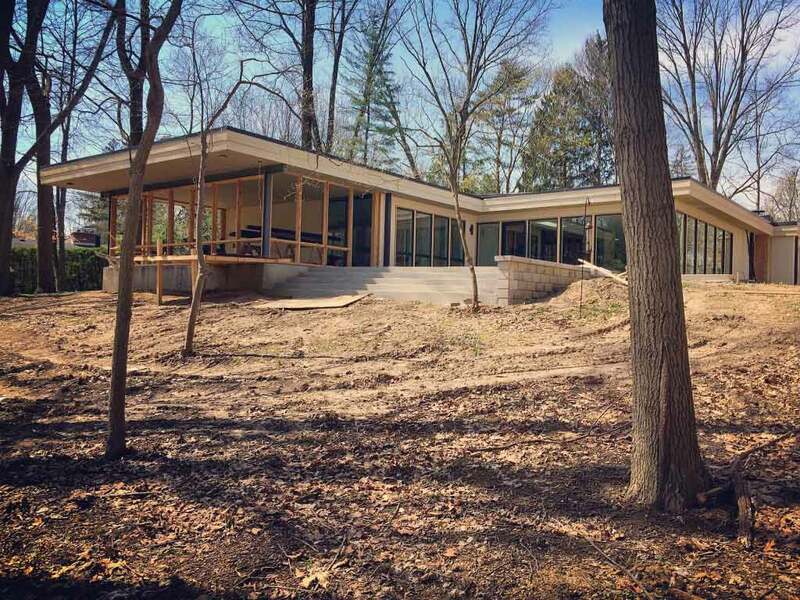 We are happy to report that Midcentury Modern Renovation, buried in the woods adjacent to Williams Creek and Meridian Hills, is now complete! As a result, we would like to thank an excellent team that that helped make the vision a successful reality. 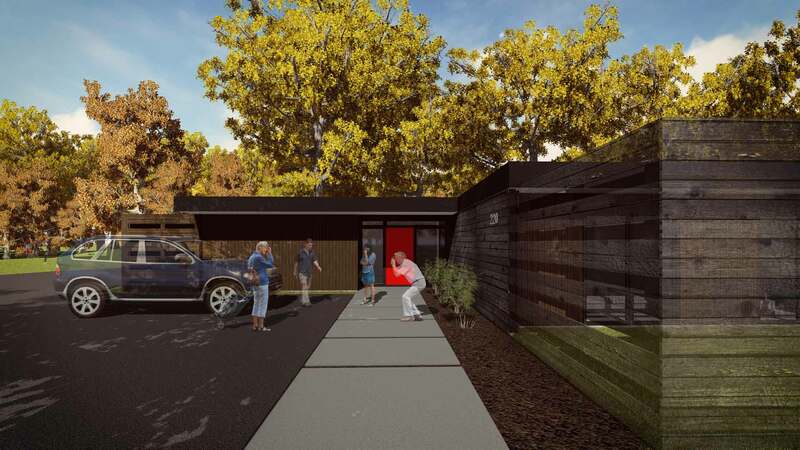 Above all, thanks to our MCM-fanatic clients for another chance to work together, this time to help create the dream-home they have sought-out for years. We will be uploading more “before” photos in the near future, so please check-back for updates. 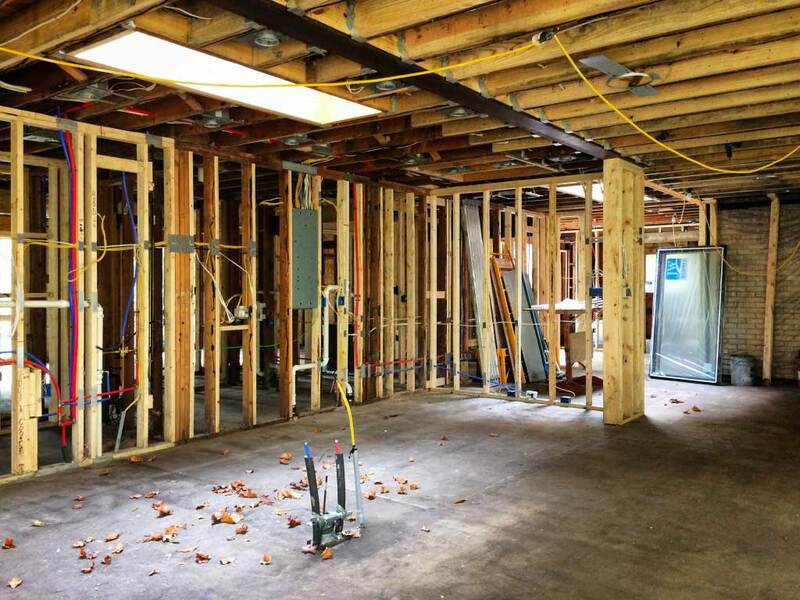 The questions with many residential renovation projects is, “how far do we want to take this?” “Will it be like a new home?” “Is it easier and less expensive to just build new?” “Or is it better to rebuild to our specifications in this desirable location?”. We discussed all of these questions and more during the design stage. 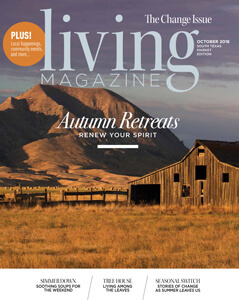 Ultimately, our client had committed to purchasing the property prior to engaging with the design team. So when we engaged the design phase, we reviewed big-picture design options focused around client’s thoughtful list of prioritized goals. And by all means, we didn’t hold back too much in the brainstorming phase. However, we kept the best ideas addressing priorities and budget while down-scaling some of the negotiables. Here below is the project site plan. Please check back, as we will plan to share more of the design process, including a few big ideas and concepts. Construction kicked-off in summer 2016 and subsequently, the project achieved substantial completion by mid-2017. 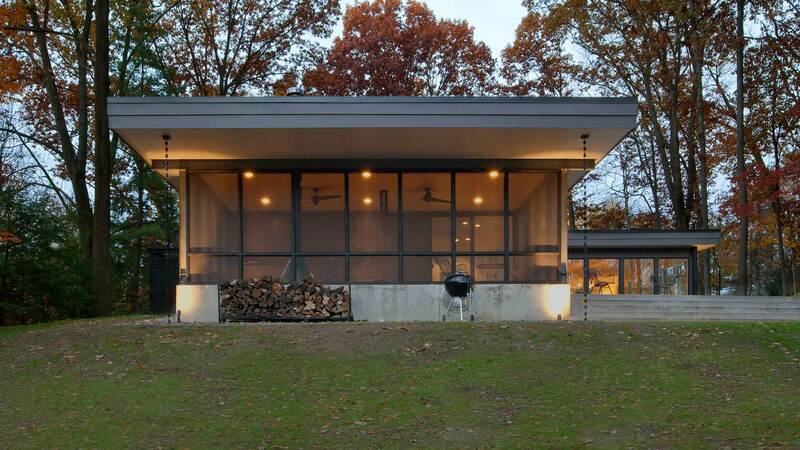 This Bill Wright original design stood as a time-capsule from the 1960s, until now experiencing only minor alterations from the original build that originated in 1959. 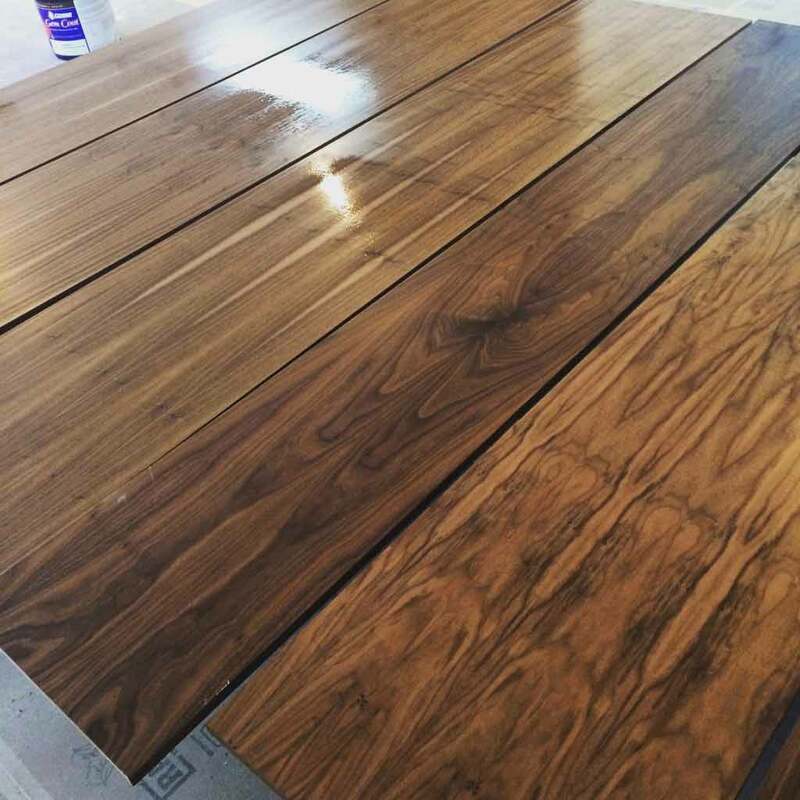 Prior to our involvement, most of the original finishes and materials remained untouched, if showing the wear of the prior five decades. 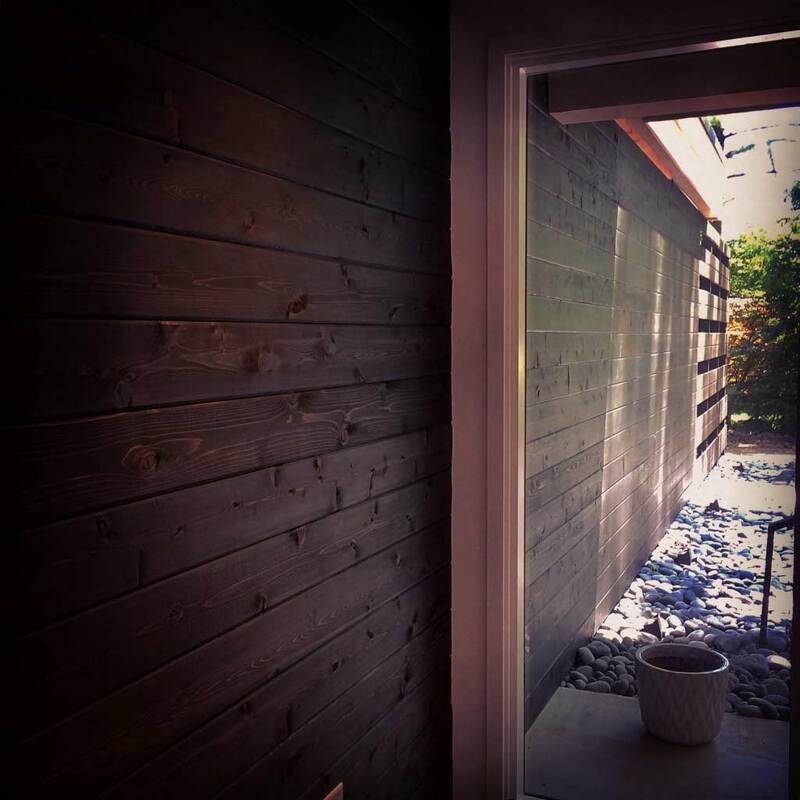 While existing cork floors, custom wood built-ins, galley kitchen, and floor-to ceiling windows remained in fair condition, original Redwood siding was compromised with insects and woodpeckers. 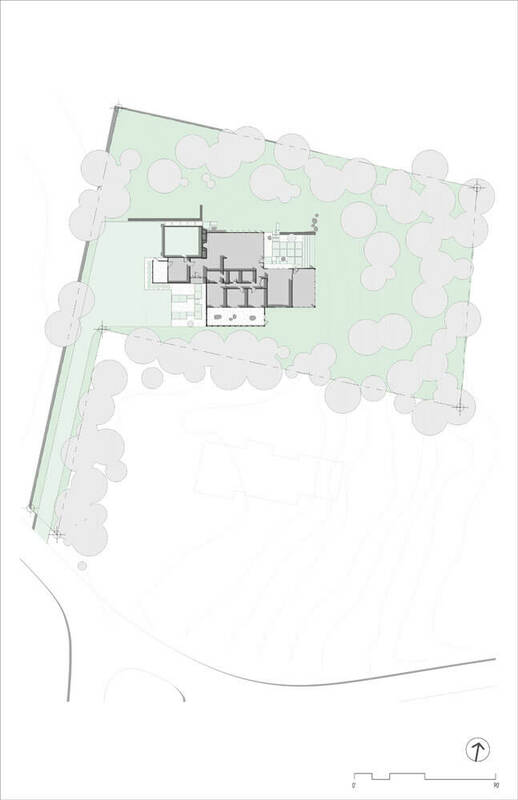 Furthermore, the surrounding landscape was overgrown and encroaching on the house, and previous owners had sold-off portions of what was originally a larger plot. 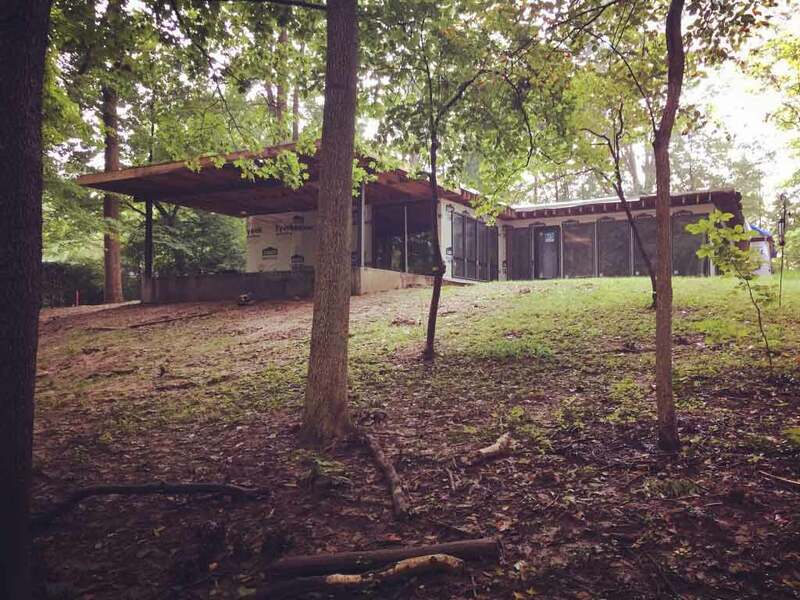 As with many homes from prior decades and even this Midcentury gem, we decided to open the space more to maximize views, light, and family engagement. 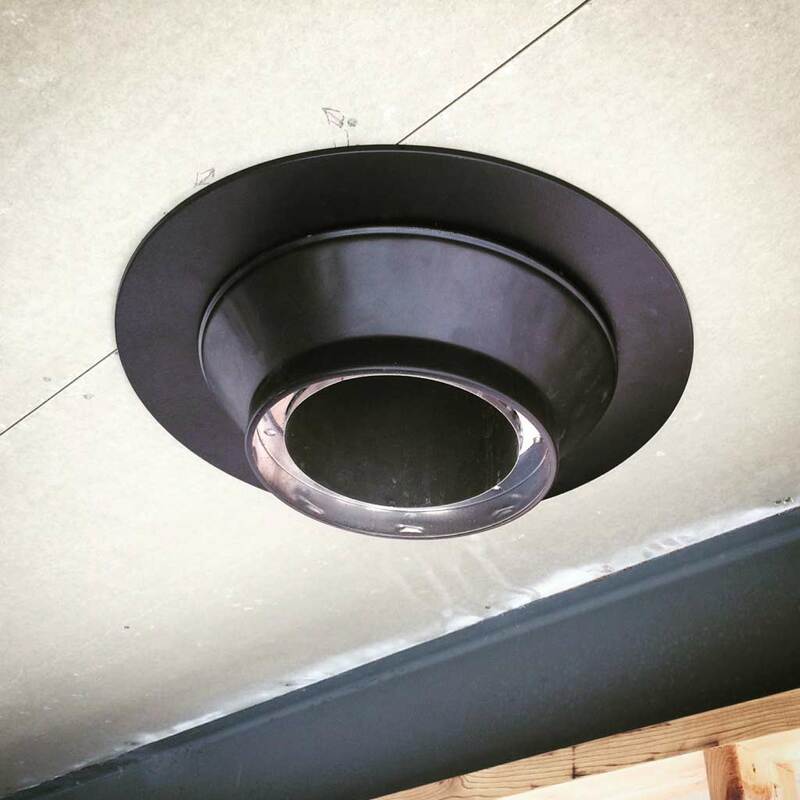 To that end, our solution included the incorporation of new steel structure concealed inside the pre-existing roof structure. 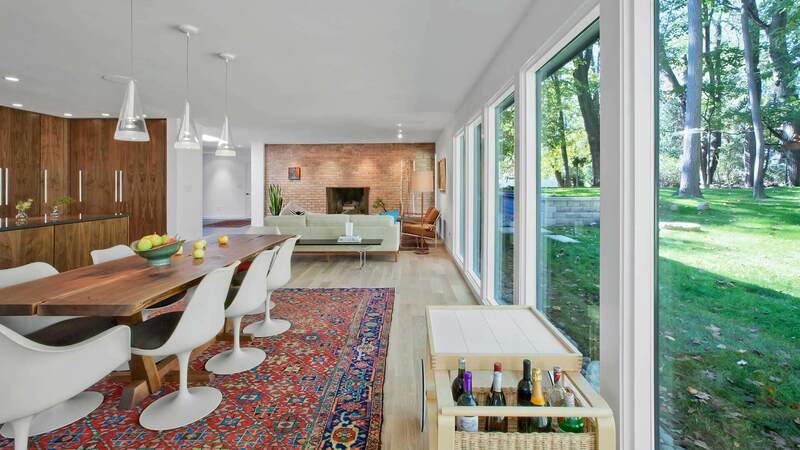 Equally important, the LVL supporting the steel beam in the window-wall beyond enables maximum glazing and natural light for the open-concept kitchen. 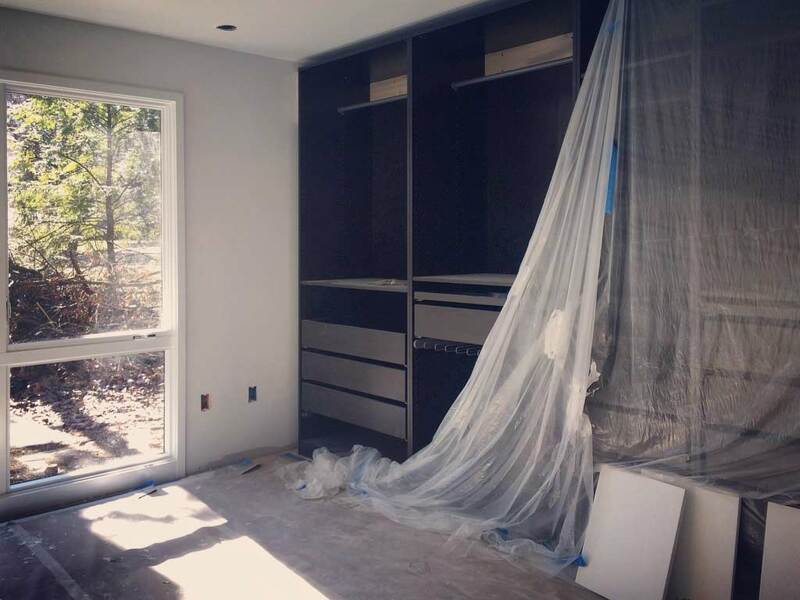 Without a doubt, opening the kitchen to the main living space will be a major enhancement. As with many older buildings, the roof and structure needed some attention. 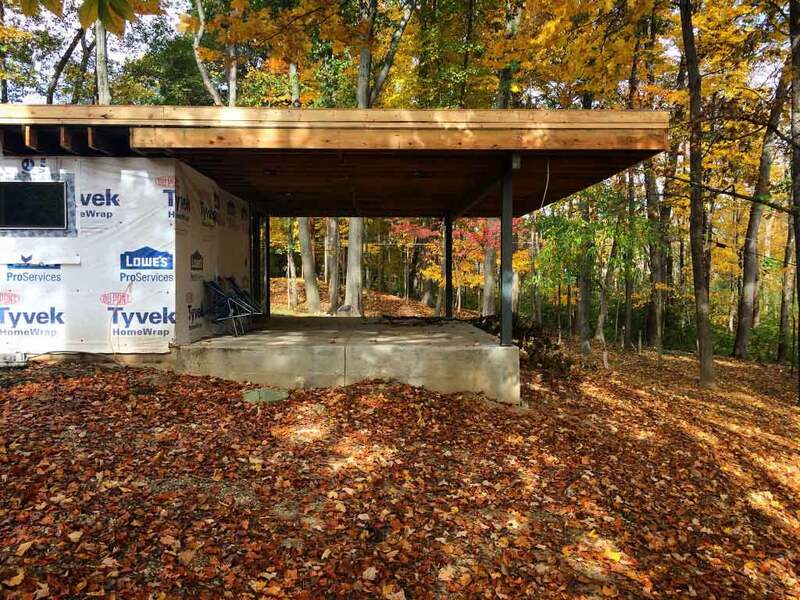 But first, we needed to extend and cantilever the original roof structure to shelter the new screened porch. 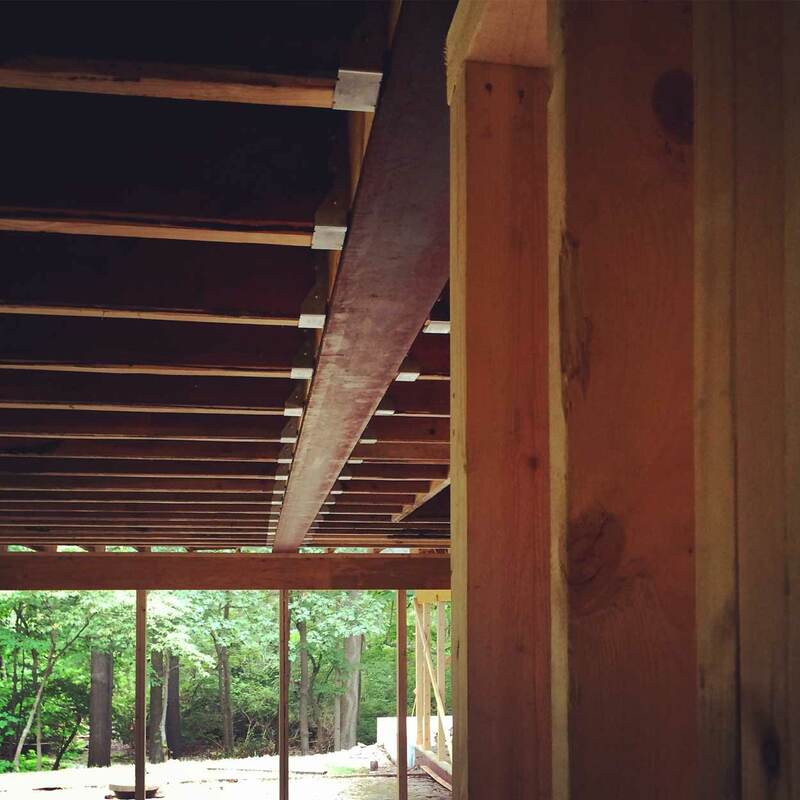 To that end, we were able to achieve the extension with 2×10 joists matching original structure, cantilevering them over new steel beams/columns, designed to be exposed. 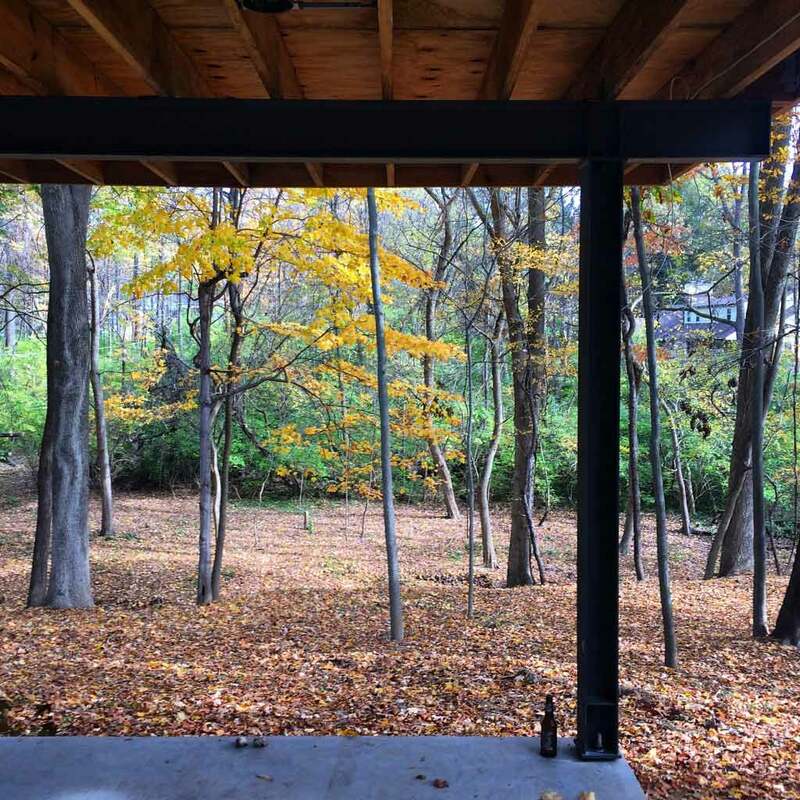 Exposed steel was a pre-existing motif from the original house at main entrance, so as seen below, we continue that modern motif in the screened porch extension. In this south view of the porch extension below, we can see an increase in the roof-edge thickness. 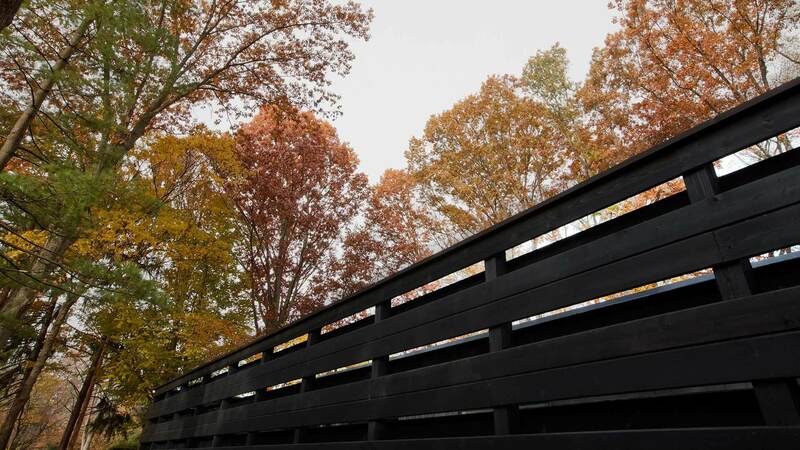 This additional thickness is for the purpose of supporting a complete re-roof, enabling repairs to deck, allowing for proper roof-slope to drains, and adding a minimum R-24 insulation above the roof deck. With proper design, roofs don’t require ventilation, which can be more efficient than ventilated roofs. To that end, we have found that many in the construction industry don’t understand the basic building science behind non-ventilated roofs, particularly as it relates to moisture management. 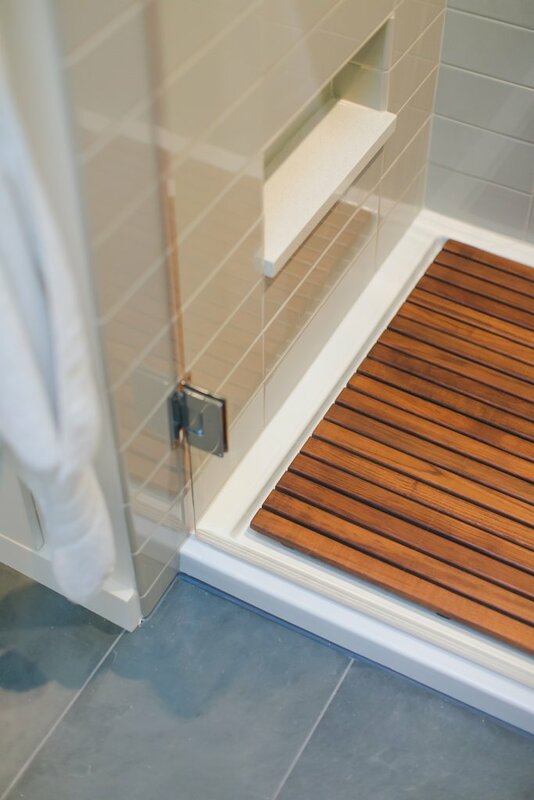 So if you are investing in residential or commercial renovation or new construction, please be sure you are working with qualified professionals. 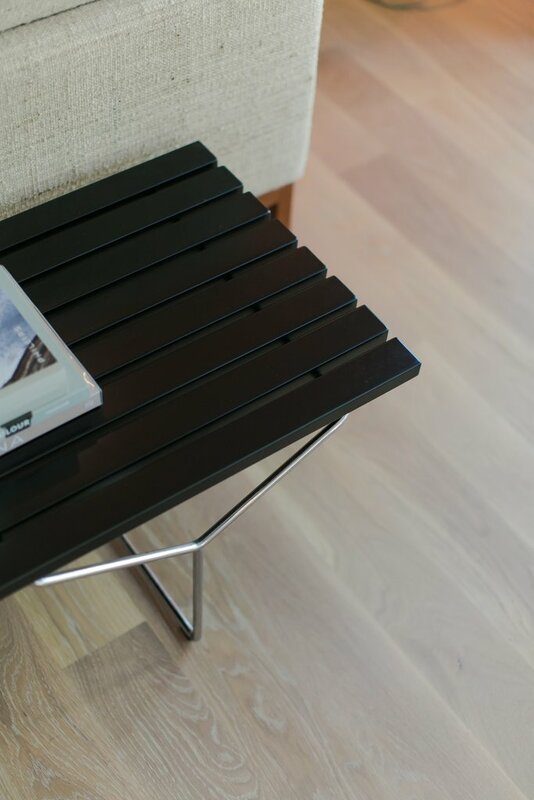 Accordingly, the site or location is often the primary reason to purchase a property. 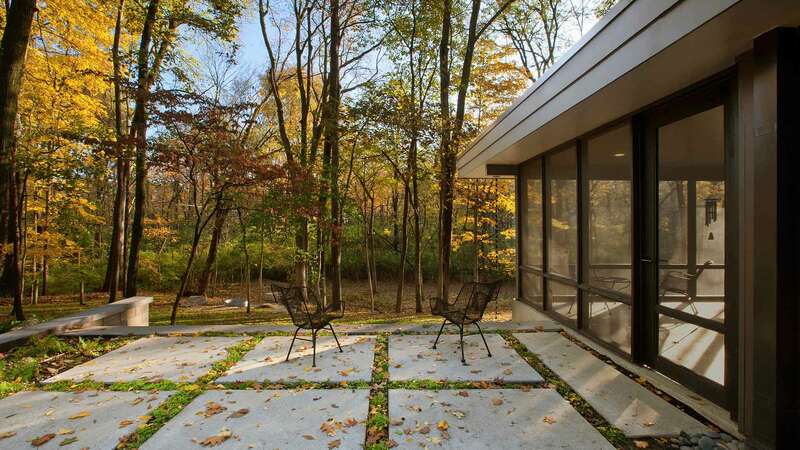 Undeniably in this case, both site and house were inspirations, as this property affords beauty, privacy, and enough natural light in and around the Midcentury dwelling. 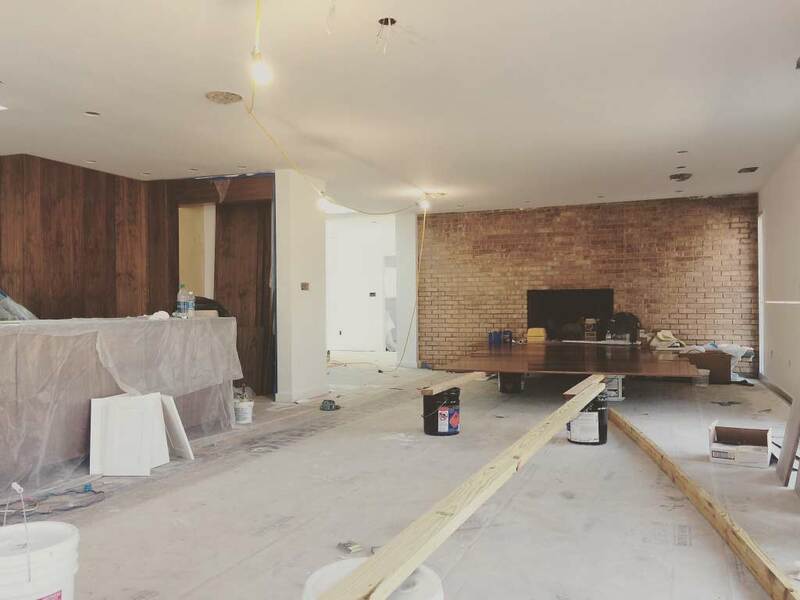 The construction team removed all interior finishes down to slab and studs. 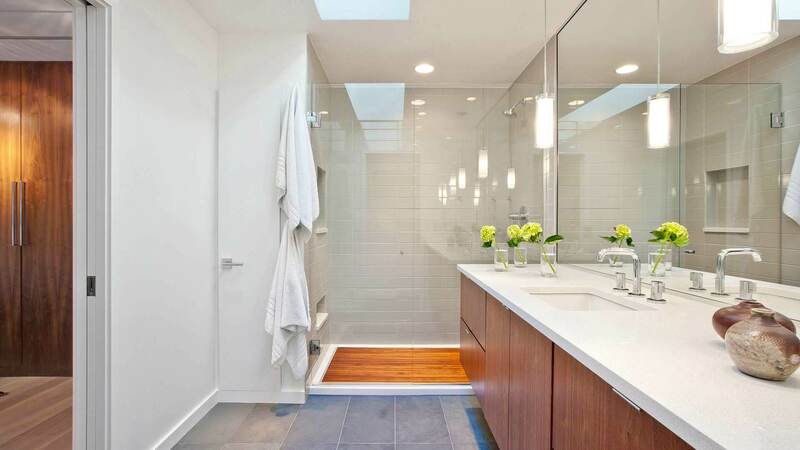 Likewise, they saw-cut and patched concrete slabs for plumbing and modified roof structure to achieve open-concept and achieve more interior natural light. Also, we infilled the original main entry porch to create the “Everything Room” and a conditioned entry between Garage, Mudroom, and house. 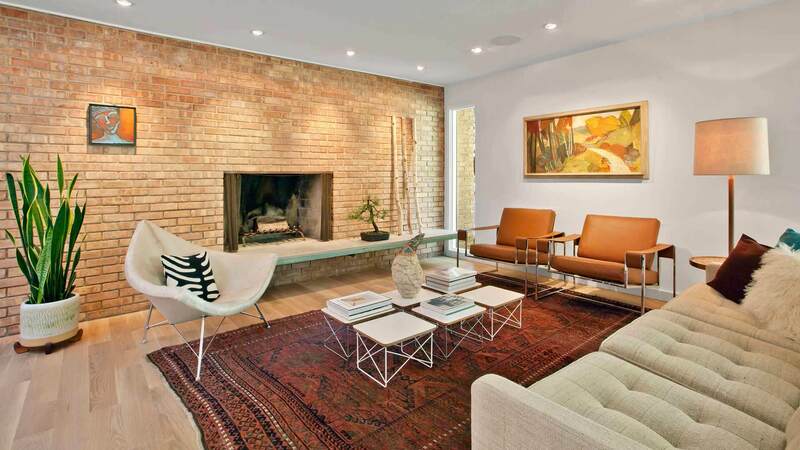 In contrast, the team elected to maintain the existing masonry fireplace and chimney, with only upgrades to the floating cast-in-place hearth slab. 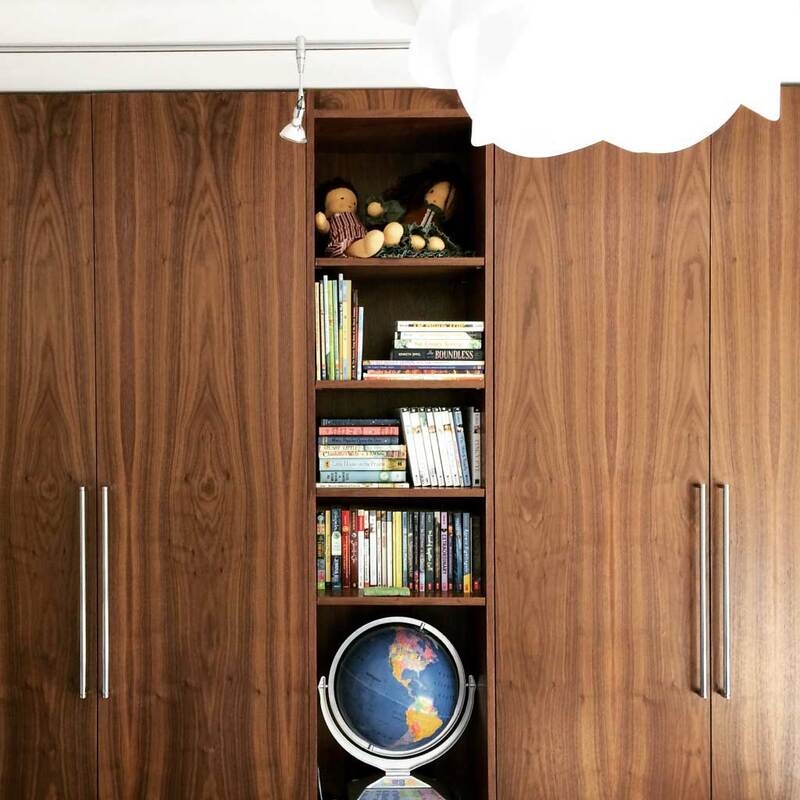 This Midcentury closet detail below is one of many refined retro-modern features at Midcentury Modern Renovation 2. 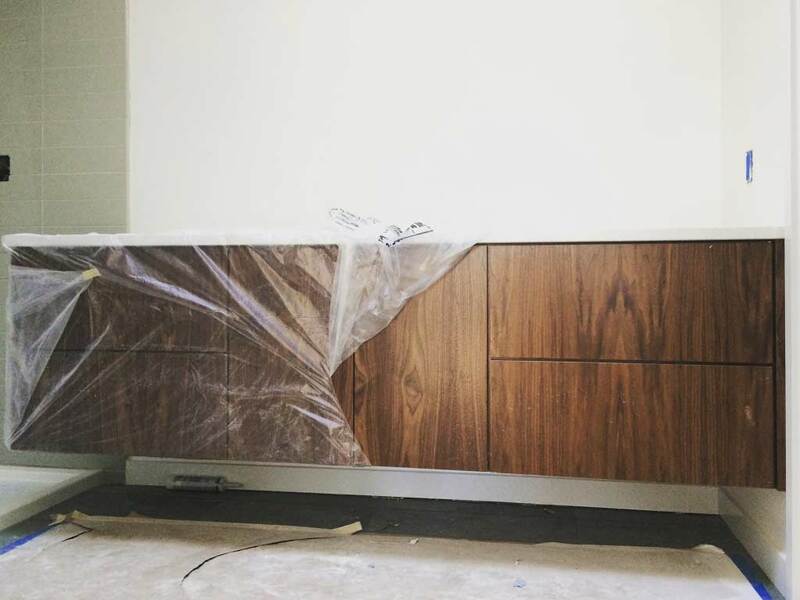 Hence, the team incorporated book-matched Walnut veneer millwork at Entry, Kitchen, Bedrooms, Vanities, and TV Room to continue this timeless, Midcentury vibe. 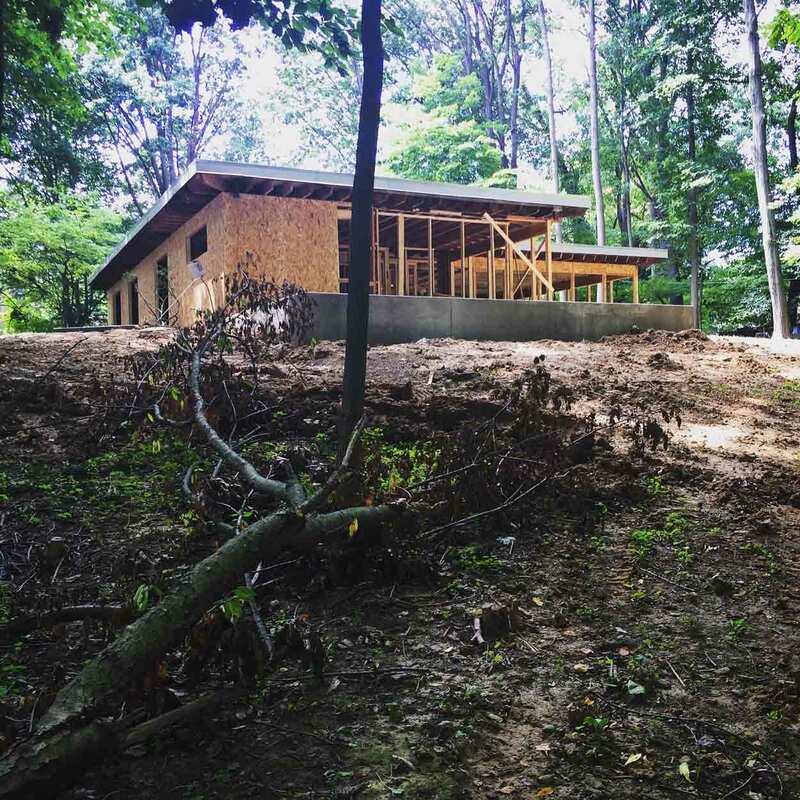 Spring has sprung and Owner has moved-into the project even while mostly exterior work continues forward. Hard and soft-scaping continues outside, and we are particularly eager to see installation of final exterior finishes. 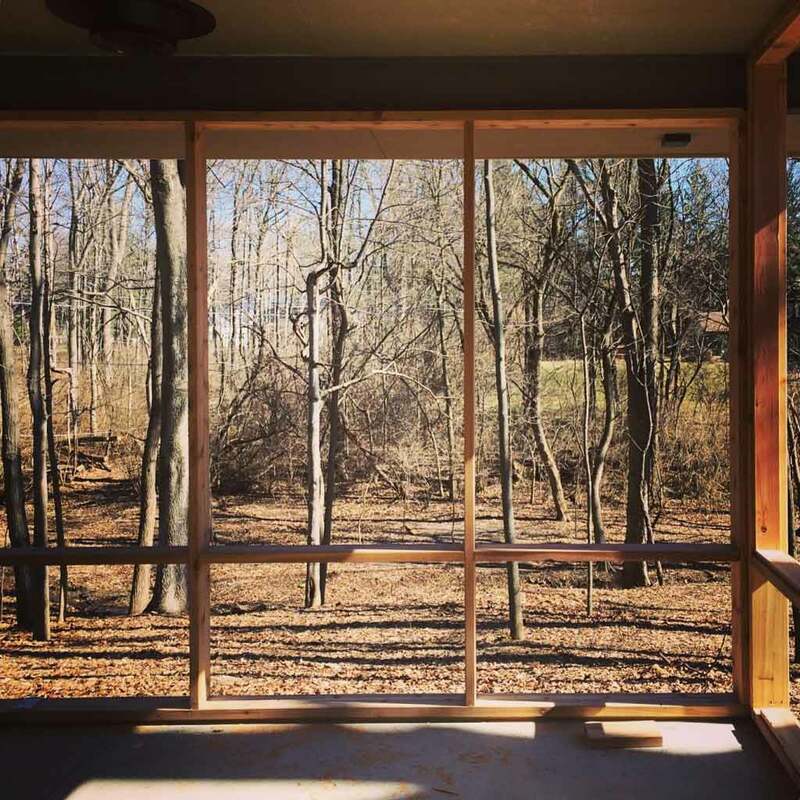 As one can see, we have maximized exterior windows to capitalize on the scenic panorama. 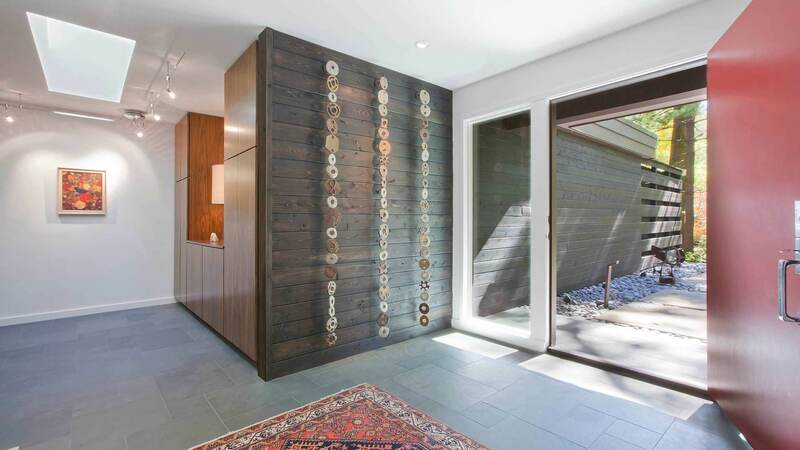 Privacy walls are a predominant motif in Midcentury Modern Architecture, and so we utilized a screenwall to achieve multiple project goals in one move. 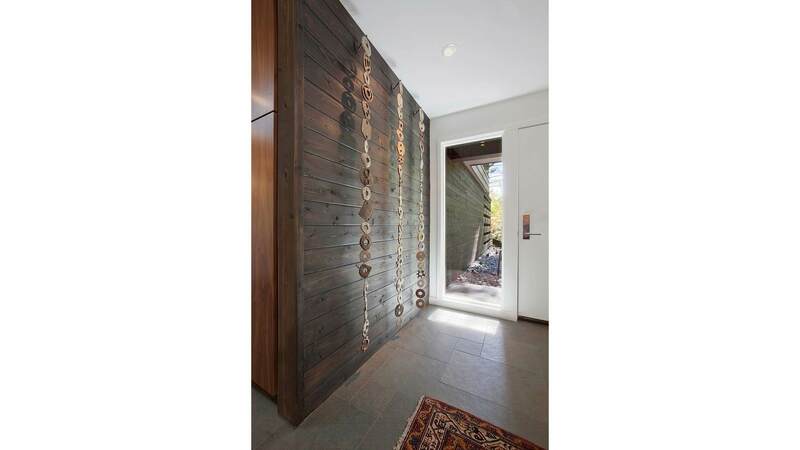 For instance, the entry wall (see photos above and below) serves multiple purposes: one, to frame entry court with material continuing outside to inside, and two, to frame a private outside courtyard. 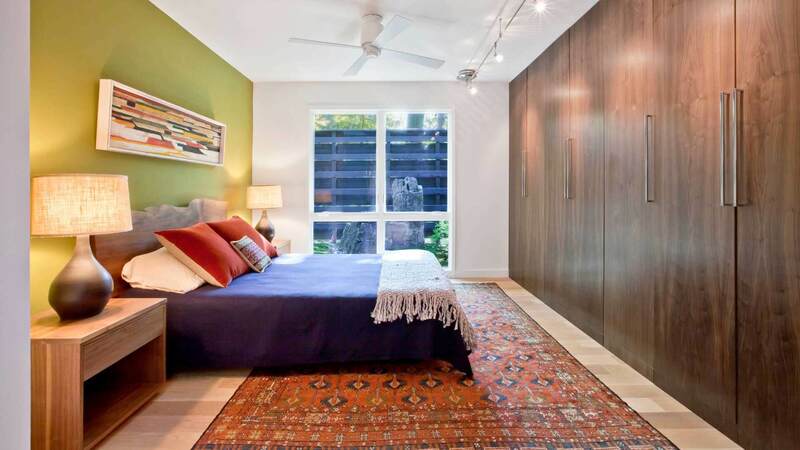 This allows larger bedroom openings to maximize south light while achieving both privacy and security. One move, multiple benefits. 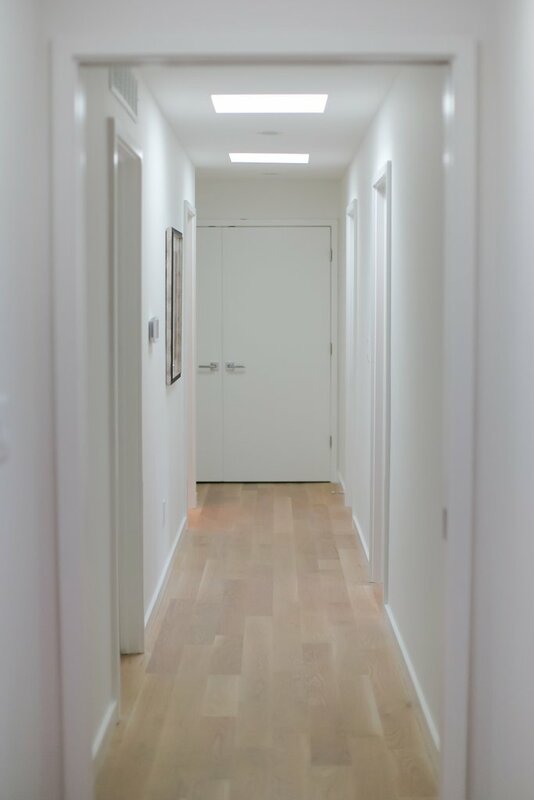 As shown below, skylights add a nice touch to the middle hallway and other spaces that don’t benefit from exterior windows. 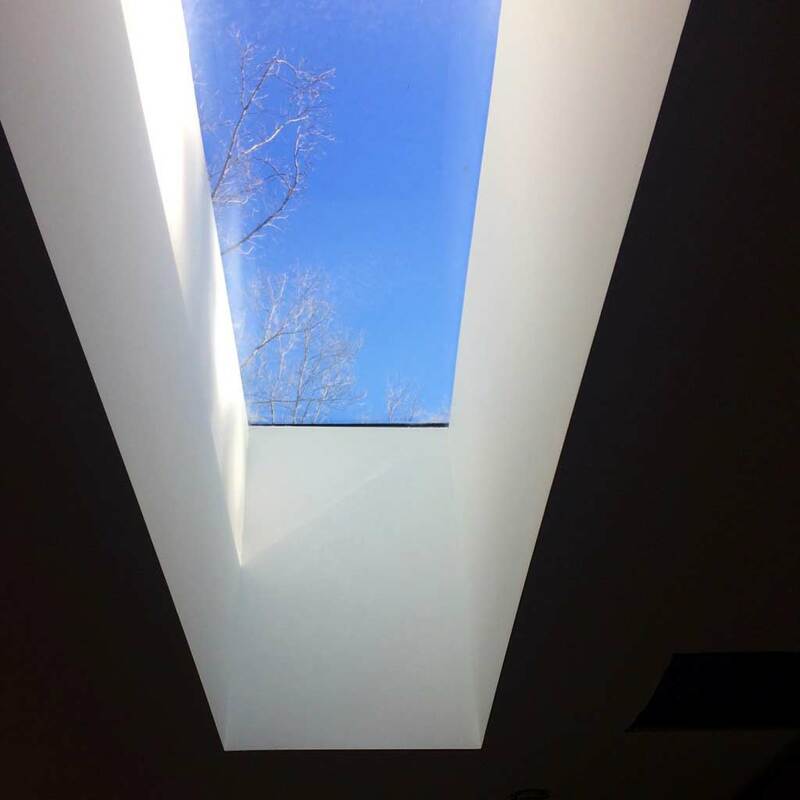 These two skylights openings were original to the house, and in this case, we upgraded to new units. 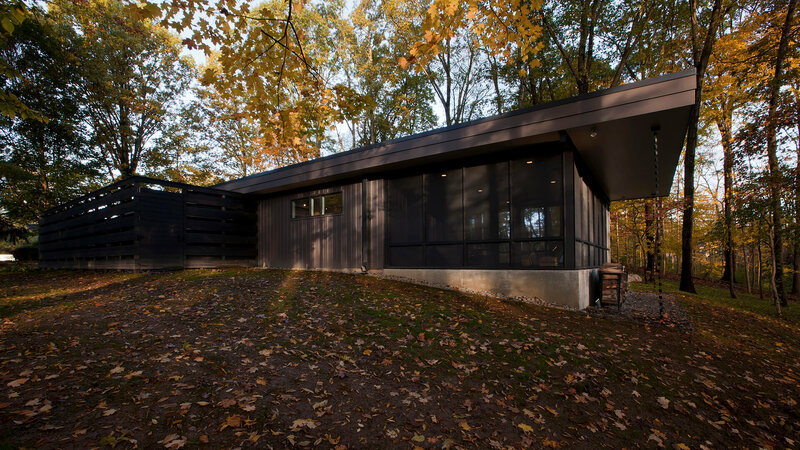 New exterior cladding, a moss garden and a multipurpose room are among the updates to a 1950s residence in the American Midwest revamped by design studio Haus. 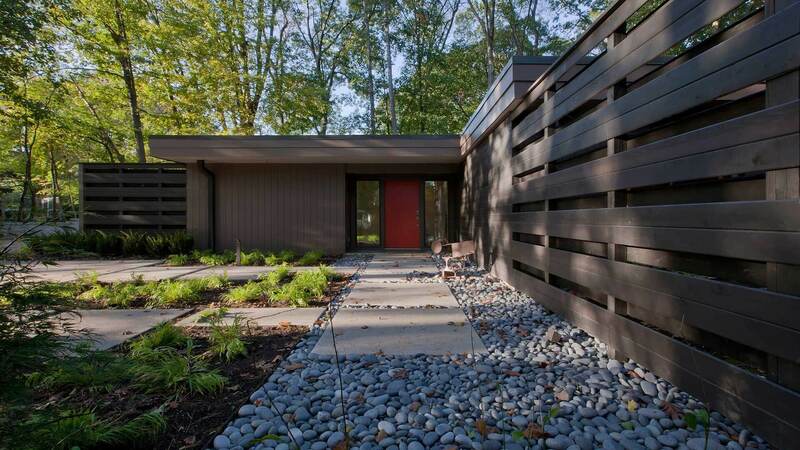 The project, called Midcentury Modern Renovation, is situated on a wooded property in Indianapolis encompassing just under an acre. 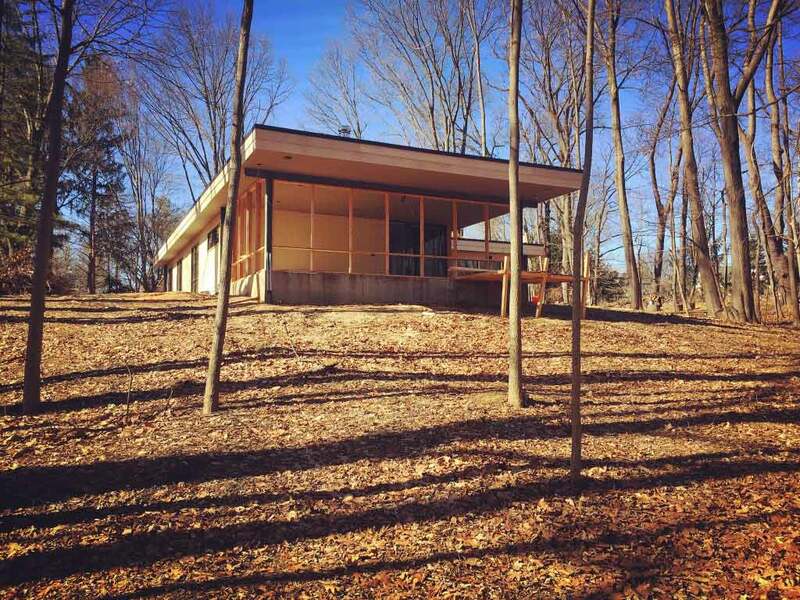 The surrounding area is known for the presence of several exemplary Midcentury modern dwellings built in the 1950s and 1960s. 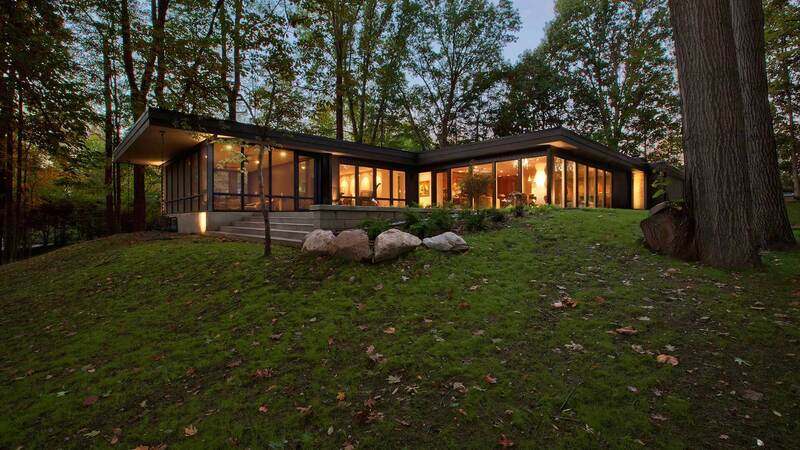 The clients purchased the midcentury modern home – built in 1956 and designed by Bill Wright of the Indiana firm Vonnegut, Wright, and Porteous – in 2015, after leaving a note for the owner expressing an interest in buying the property if it became available. 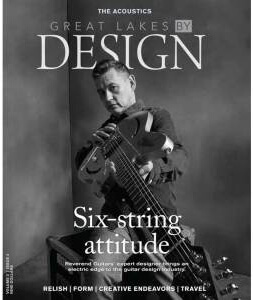 “A few years later, the call and opportunity finally arose,” said Haus, a local architecture studio. 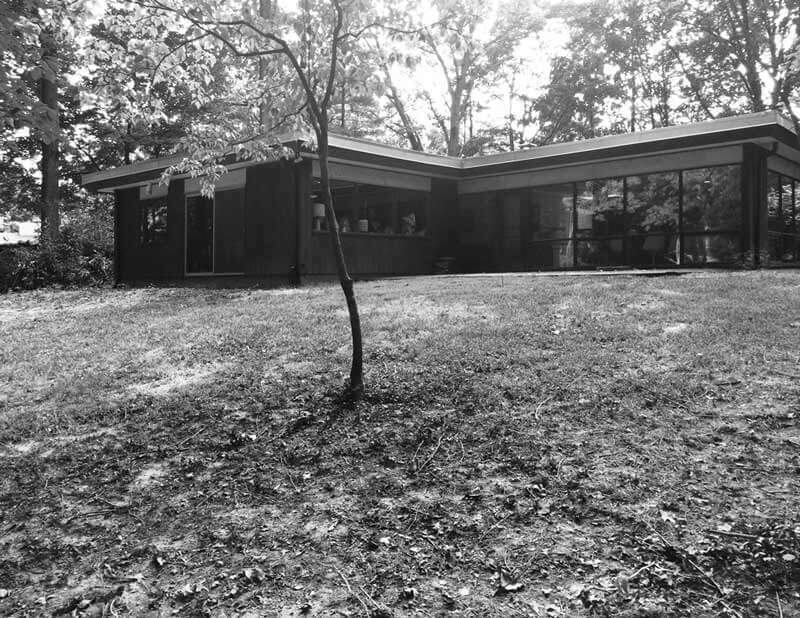 The three-bedroom home had remained unchanged over the decades with the exception of minor renovations in 1967 by the original owner, who lived there until 2013. 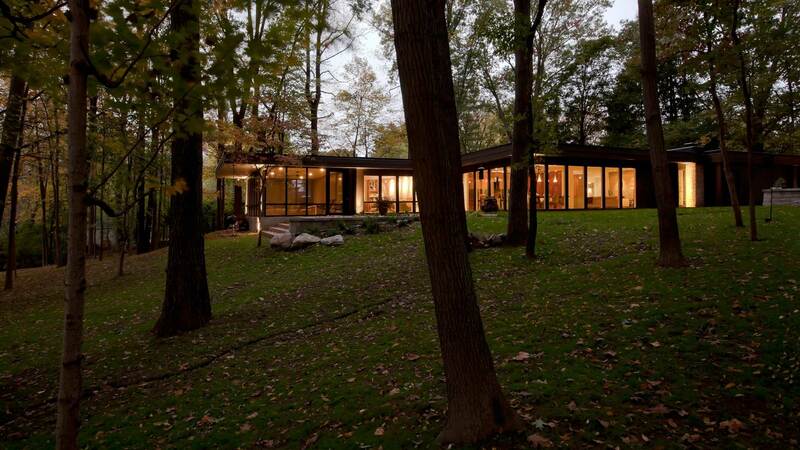 The client charged the architects with enlarging and renovating the low-slung dwelling shaded by mature trees. 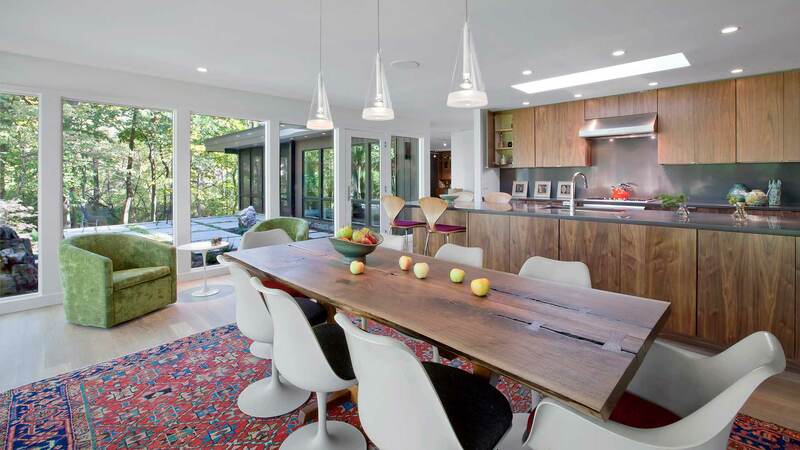 “Having worked with this client on their previous mid-mod renovation project in 2011, we were excited about the prospect of working with them again on something more comprehensive,” said Haus. The clients presented the team with a list of goals and priorities. 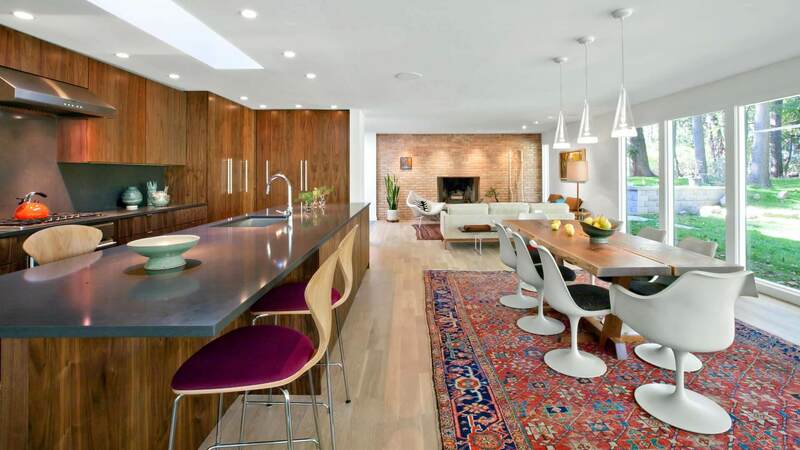 The initial planning process included Haus, an interior designer and the owners, who together conceived various options for the 2,260-square-foot (210-square-metre) dwelling, which was in dire need of repairs. 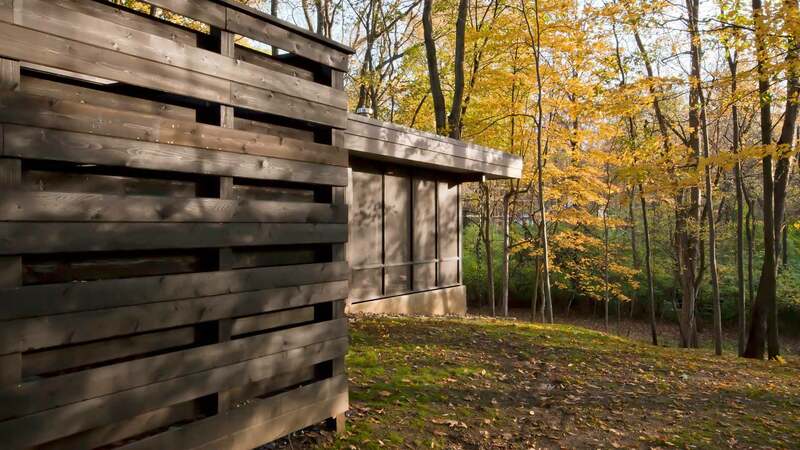 Sitting atop a concrete foundation, the wood-framed home was re-clad in vertical-groove, poly-ash siding with a smooth finish. 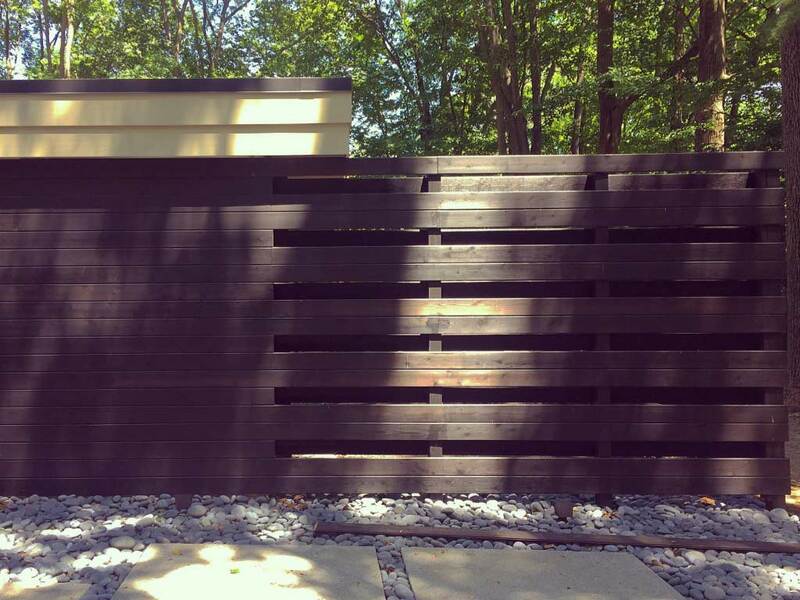 Strips of cedar with an ebony stain were used for the entrance area and a dog run. 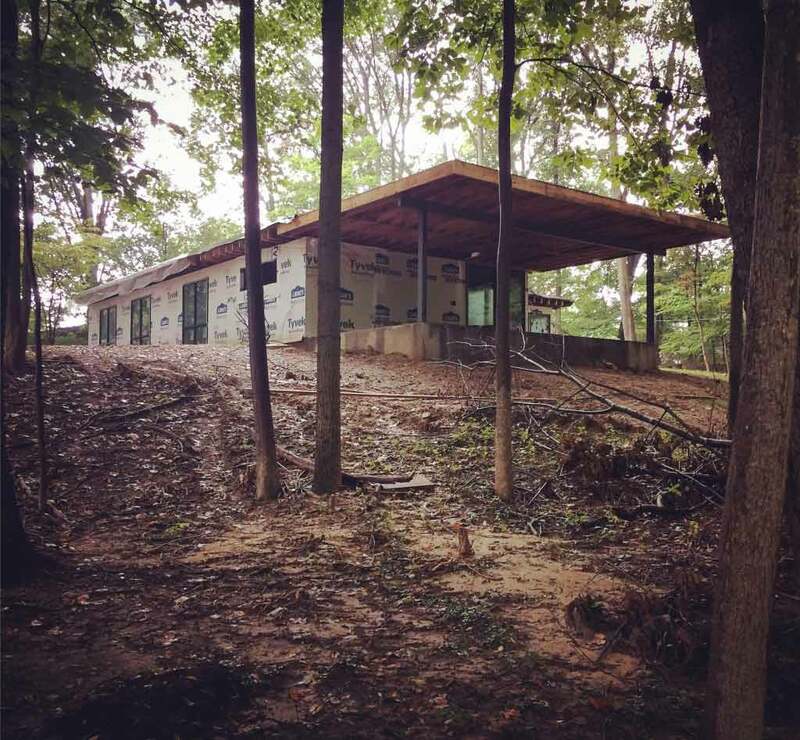 The team installed a new membrane roof that channels stormwater to “rain chains” on the side of the home. Owner and Architect retained and refurbished existing roof overhangs. 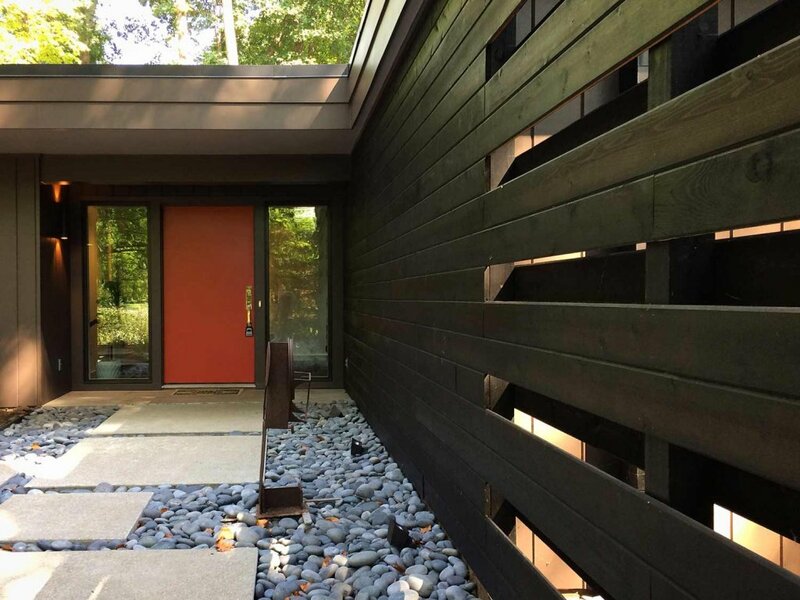 Haus revamped the main entrance, adding an “inside-out entry wall” that frames the entry sequence and a garden. 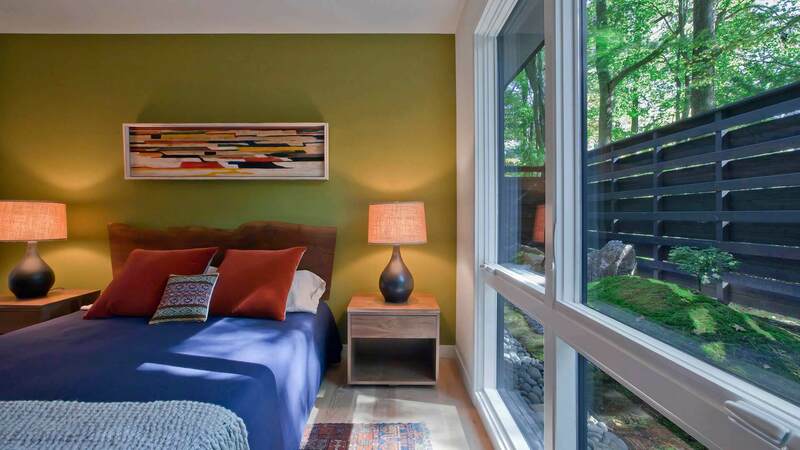 The same-style wall fronts the bedroom wing, helping provide privacy and security while still allowing natural light to pass through large windows. Inside, the team made a series of modifications. 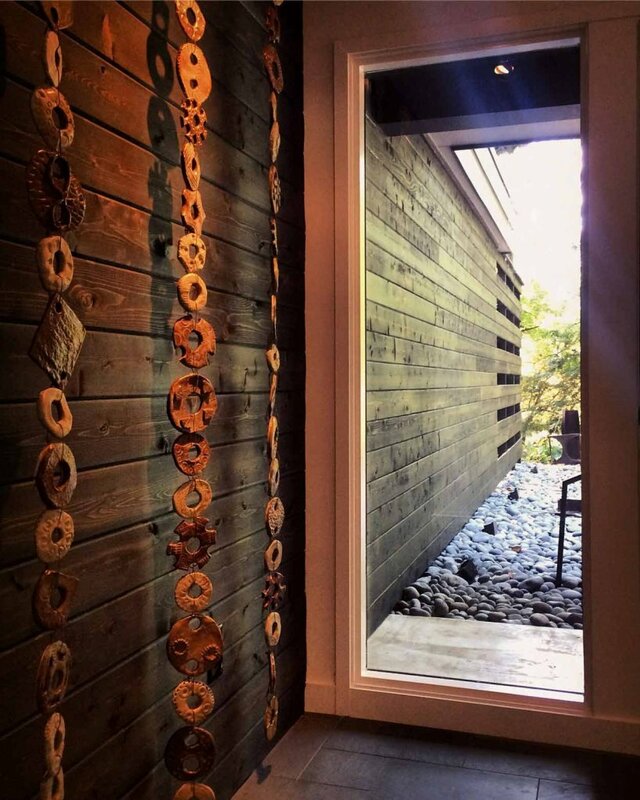 The entrance features slate tile flooring and a wooden wall that mimics the exterior cladding. 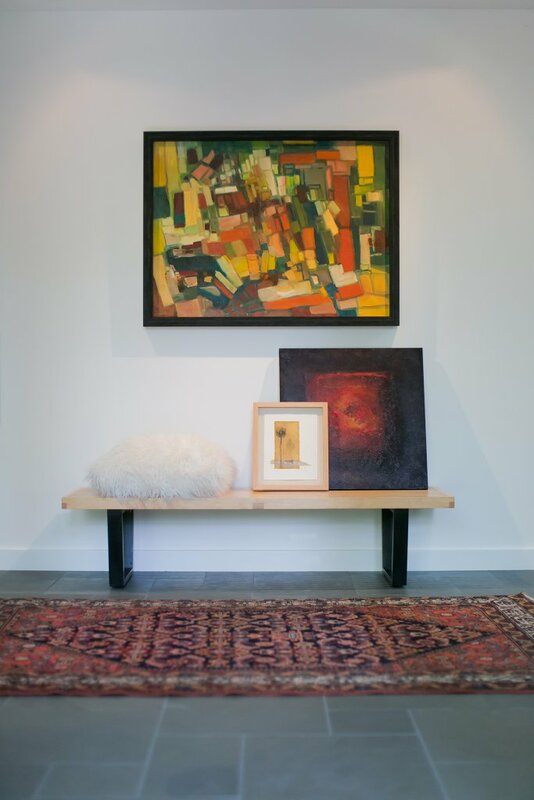 The client specifically requested a new flexible area – dubbed the “everything room” – which the team added just off the foyer and serves as a mudroom, dog area, laundry room and a crafting workspace. 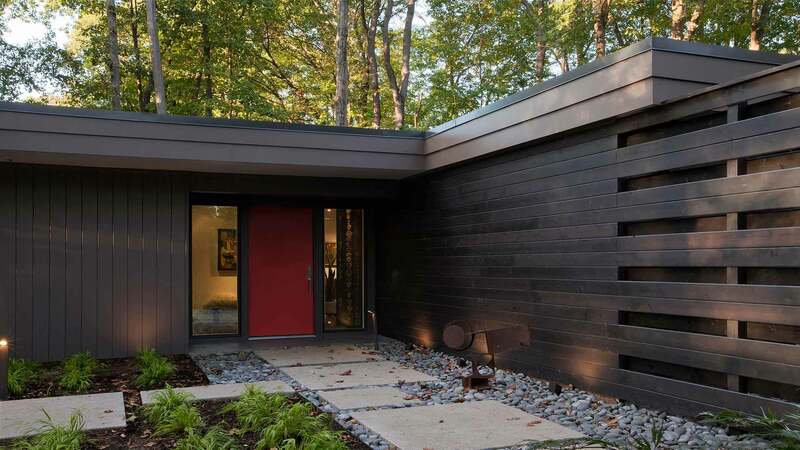 In total, the team added 340 square feet (32 square metres) of space to the residence. 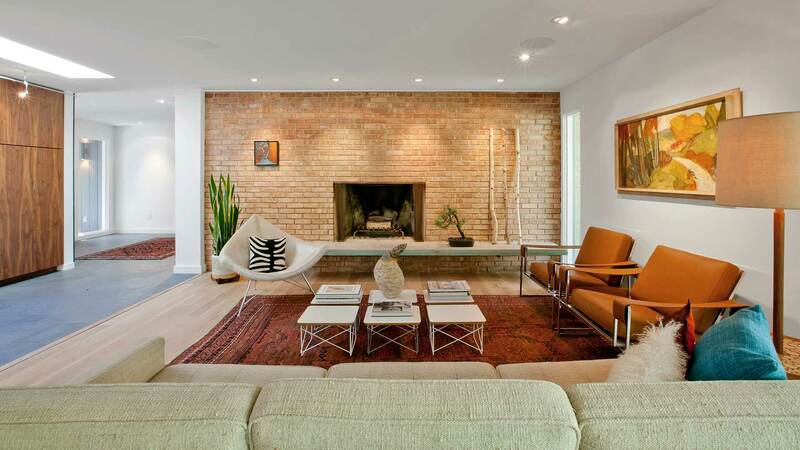 The open-plan living room features an original brick fireplace with a cantilevered concrete hearth. 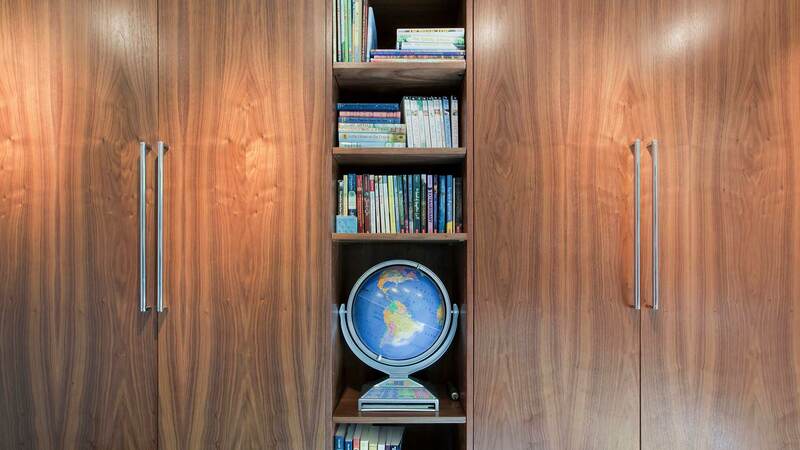 The team fitted the room with wood flooring, white walls and an eclectic mix of decor. 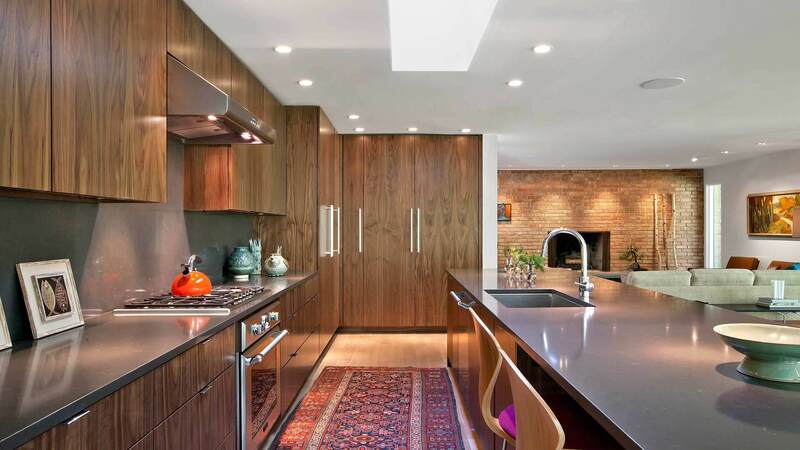 Similarly, the kitchen and bedrooms feature a range of motifs and materials. 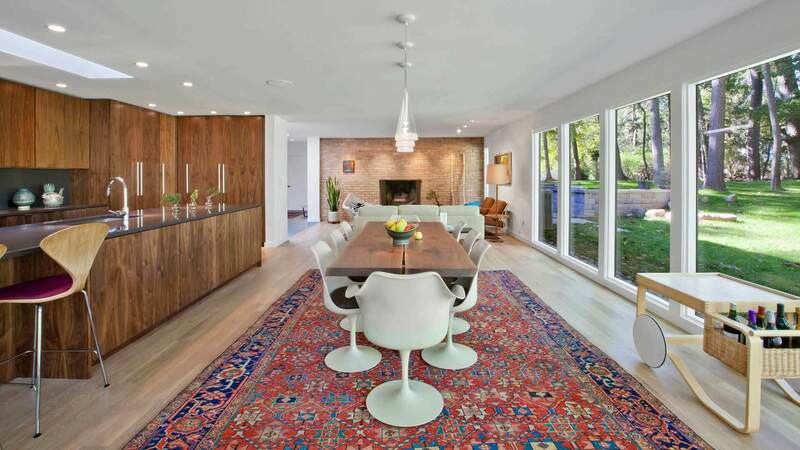 “A mix of period and more modern furnishings pair nicely with the interior finishes, lighting and fixtures to achieve a re-imagined interior respectful of the home’s roots and reflective of the owners’ aesthetic and lifestyle,” the team said. 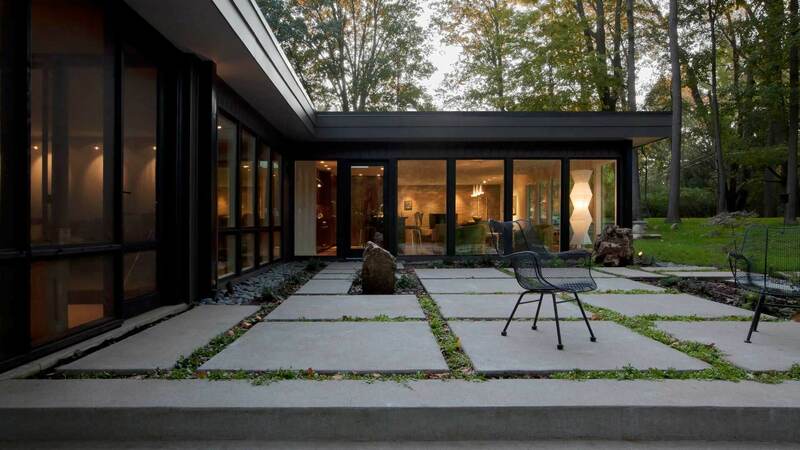 Throughout the residence, floor-to-ceiling glass provides unobstructed views of the verdant lawn and surrounding woods. 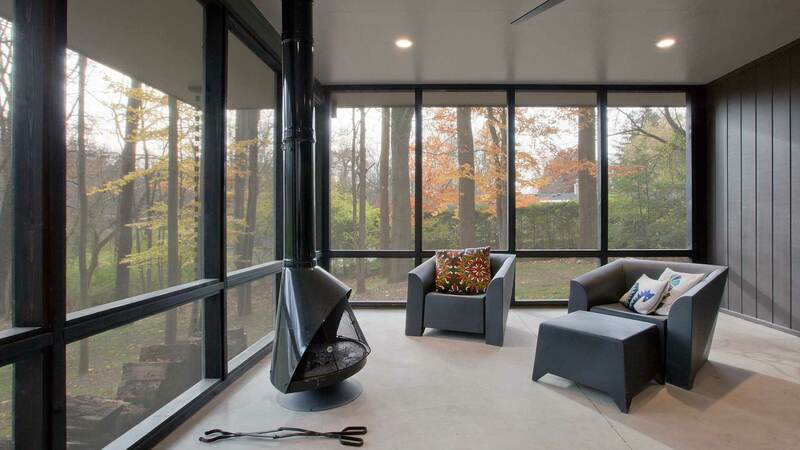 A screened porch with a black stove serves as a sheltered area for relaxing and feeling connected to the outdoors. 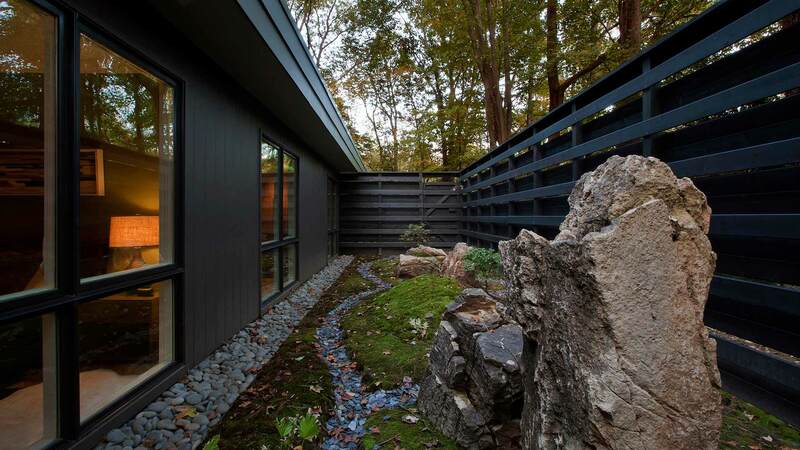 The team also modified the landscape around the dwelling. 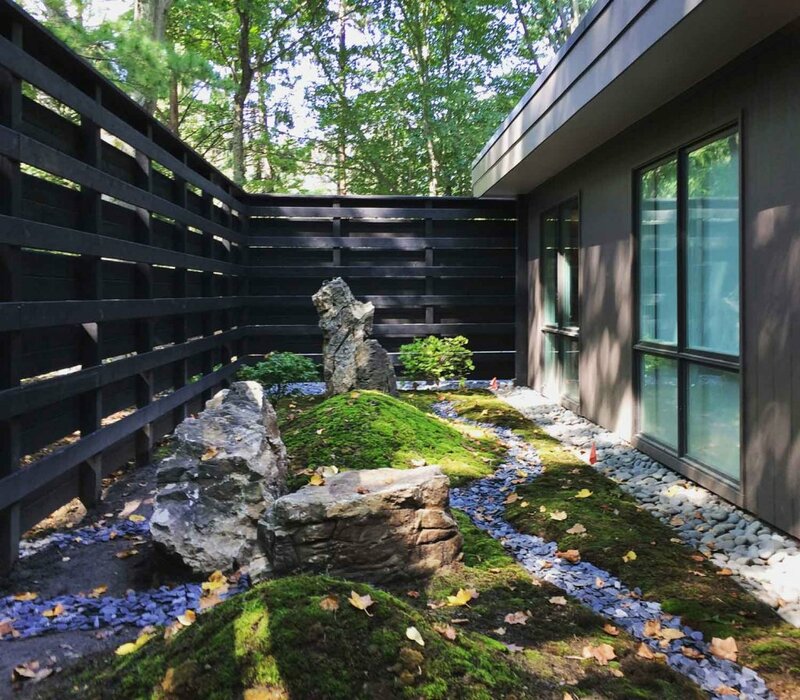 Owner strategically cleared trees and underbrush to allow more natural light into the home, and modern hardscaping and vegetation, including a moss garden, help “articulate the indoor-outdoor connections”. Gorgeous vanity!! Where was this sourced from? Thanks for the compliment! 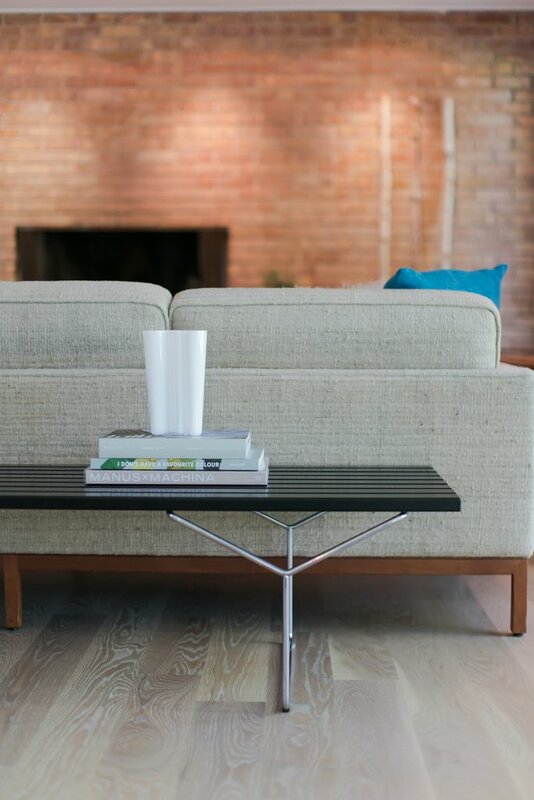 The vanity is sourced from Amish cabinet-makers via Nathan Alan. The construction for this major renovation project kicked-off in mid-2016, and took about 12 months to complete the construction phase from beginning-to-end. 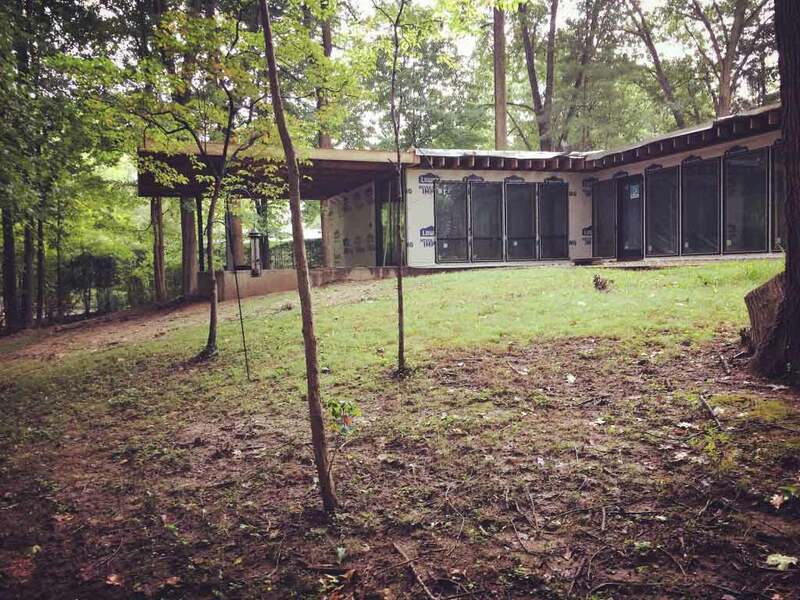 As you can tell from the story/photos, it was a complete interior gut down to studs and included moving some plumbing (cutting concrete slabs), opening some interior bearing walls, new custom cabinetry, and all new windows and roofing. The main components that were maintained from original structure were wall/roof framing, fireplace, floor slab/foundations, and garage. 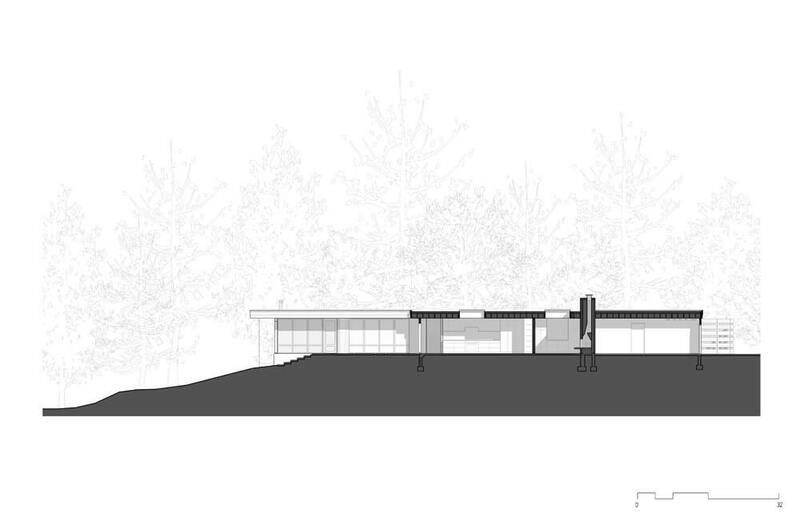 We added a little bit of square footage, mainly to entry (for “Everything Room”) and screened porch. If just counting square footage of finished living spaces, the cost/sf for a project like this could range from $225-$300/sf. This ballpark would include allowances for unfinished living space (like landscaping/sitework, screened porch area, fence/screenwalls, and covered porches). Costs will also depend on your locale and how the market is faring in your area. Where are you located? Thanks for a good question!